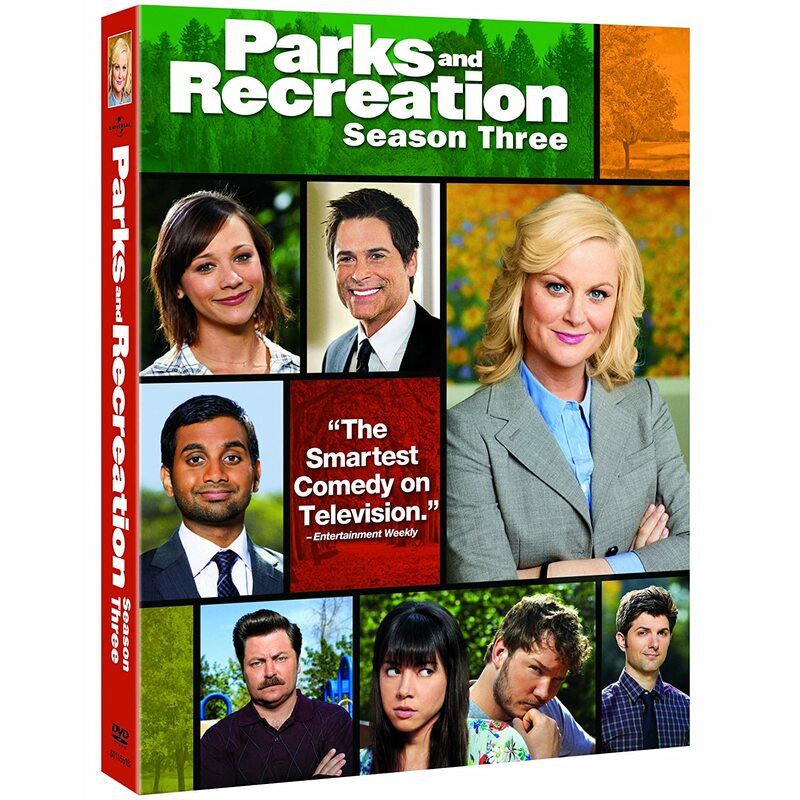 Posted on Sunday, April 4, 2010, by Eric - TV Geek Army "Revered Leader"
Quick Take: Parks and Recreation, "Woman of the Year"
Review: Parks and Recreation, "Woman of the Year"
(S0217) Okay, I have to start this off by saying how much I love this show, how quick the ramp up to love came about for me, and how it can do nearly no wrong for me right now. I'm in full swoon. The whole cast is amazing, the writing is quirky and funny and on point, but I have to get to my man Aziz Ansari, whom I have a near man crush on right now, as the wannabe-a-playa but so not Tom Haverford. When Tom strutted into the Snakehole Lounge this week and announced, "Yo Freddie, good news! Your liquor board license got got, yo!" like something out of The Wire channeled via Super Nerd, that hits an ultrasweet spot of comedy for me right there. And the payoff is even better as Freddie has no idea what Tom is talking about, and Tom must shift quickly back into earnest local bureaucrat-speak. Meanwhile, the woman of the year award storyline provides some nice interchanges for Ron and Leslie (Amy Poehler) and proves that there's a lot of character depth to match the comedy on Parks and Rec. "Every child has a right to play, no matter how boring the sport." – That sums up Leslie's character just about perfectly right there: innocent-to-a-fault honest, sweet, and playing in an area just over the left field line. I absolutely love the Parks and Recreation theme song. It's bright and perky and offbeat and traditional, somehow all at once. It works, as does the show. "Well, it's about time." – Ron Swanson (Nick Offerman), in reaction to winning Pawnee's Woman of the Year award. It took me a minute before I realized that club owner Freddie is Andy Milder, who plays Dean Hodes on Weeds. Tom dropping a Snooki reference (from MTV's Jersey Shore) during his "investment opportunity" presentation is simply priceless. Video: Parks and Recreation, "Woman of the Year"
Recap: Parks and Recreation, "Woman of the Year"
Leslie is outraged when Ron wins a "Woman of the Year" award for a project she started. Meanwhile, Tom is desperate to find some money to invest in a local Pawnee club. From Around the Web: Parks and Recreation, "Woman of the Year"
TV with Alan Sepinwall: Tom in turn got to get his d-bag on - and then surround himself with the spectacularly douchey return of Ben Schwartz as Jean Ralphio (last seen auditioning to be Ron's secretary). Cultural Learnings: Leslie and Ron are, without question, the best platonic relationship ongoing on television right now. The relationship is really the core of that office dynamic in that Ron fully understands that Leslie does great work but doesn’t quite share her passion for anything but breakfast food, and he’s probably not so keen on her lack of wall-hanging proof of that passion.